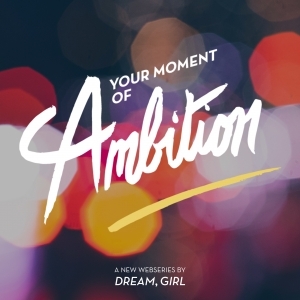 As apart of Mindthis Magazine’s new lifestyle section we teamed up with Dream, Girl to share Your Moment of Ambition ((YMOA)) which is a new web series featuring footage from Dream, Girl that was too good to leave on the cutting room floor. This series explores the issues that matter to female leaders and their allies right now. Whether you’re daydreaming about growing your side hustle or taking tangible steps to start your own business, you’ll come away from YMOA feeling inspired, uplifted and ready to conquer. As a professor of management at the Wharton University of Pennsylvania and the founder of both the Wharton Leadership Program and the Work/Life Integration Program, Stew Friedman has had decades to observe and study men and women in business. One conclusion he’s made is that he’s definitely a feminist. And more and more men are joining him. When Emma Watson introduced the UN Women’s campaign He for She last September, many of us watched her speech and thought, finally. Finally, a global call to action. Finally, an appeal to men that articulated so well why gender inequality is their problem, has always been their problem, and will take 100% of the world’s population to counteract. Gerardo Porteny was a youth engagement consultant for He for She until he returned to his undergrad studies at NYU in December. 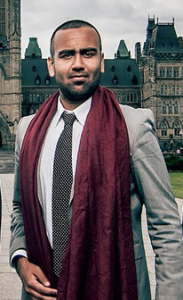 He also co-founded the organization Young Minds For Gender Equality. “As a social entrepreneur my job is to see what is not there,” he says, and in this case, it’s the billions of men who could be acting as allies to women but don’t feel connected to feminism. So, he joined the movement and created YM4GE. The list includes tips like “get the most out of meetings,” encouraging men to make sure women’s voices are heard in the boardroom since, “compared to women, men tend to talk more and make more suggestions in meetings, while women are interrupted more, given less credit for their ideas, and have less overall influence.” Not only is correcting this problem a great step toward being an ally, it means tapping into the team’s full potential and insight. But challenging sexism doesn’t stop when men leave work. #LeanInTogether also encourages men to take their activism home by sharing housework and being active examples of equality for their children. This is particularly important since, for many women, limits on their dreams can be traced back to childhood where seeing gender roles played out by their parents had a profound effect on how they envisioned their own futures. A 2014 study backs this up. Researchers surveyed more than 300 children and found that when fathers took on their fair share of housework, their daughters took a greater interest in either working outside the home or in jobs that weren’t traditionally feminized. And if that isn’t reason enough to be an ally, another study that came out last January found that men who share family responsibilities and spend more time with their children are happier at work. They report less work-family conflict and are less likely to consider quitting their jobs. So let’s recap: men who act as allies to women have more productive businesses, happier families, more ambitious children, and are happier in their own career paths. What is there to lose? On the Dream, Girl crew, Sal Mastrocola is a great example of someone who acts as an ally in both his personal and professional lives: along with being the film’s musical composer, he’s director Erin Bagwell’s husband and biggest fan. And that’s what it all comes down to: as long as men continue to treat their colleagues, partners, and daughters with equal respect, we’re all uplifted allies, as feminists, and in life. Your Moment of Ambition was produced by the Dream, Girl team. Video Production by Erin Bagwell (Director), Mary Perrino (Director of Photography), Victoria Ng (Camera Operator), Francesca Kustra (Camera Operator), Sharon Mashihi (Sound), and Daisy Zhou (Lighting). Video editing by Victoria Ng and Erin Bagwell with help from Diana Matthews. Music by Sal Mastrocola. Articles by Kylie Kendall with help from Komal Minhas. Your Moment of Ambition video editing sponsored in-part by our friends at Adobe. Our Mission is:Tell the stories of amazing entrepreneurs to inspire the next generation of leaders.We know the names of Bill Gates, Steve Jobs, and Mark Zuckerberg. But what about the female entrepreneurs? What’s their story?From brand new startups to million dollar industries, it’s time we stop telling girls they can be anything they want to be and show them what it means to be a leader.Mindthis Magazine and Dream, Girl are partnering up to promote the new web series called Your Moment of Ambition (YMOA). This series explores the issues that matter to female leaders and their allies right now. Whether you’re daydreaming about growing your side hustle or taking tangible steps to start your own business, you’ll come away from YMOA feeling inspired, uplifted and ready to conquer.